Bears have become a frequent uninvited guest at an Idaho man's home. 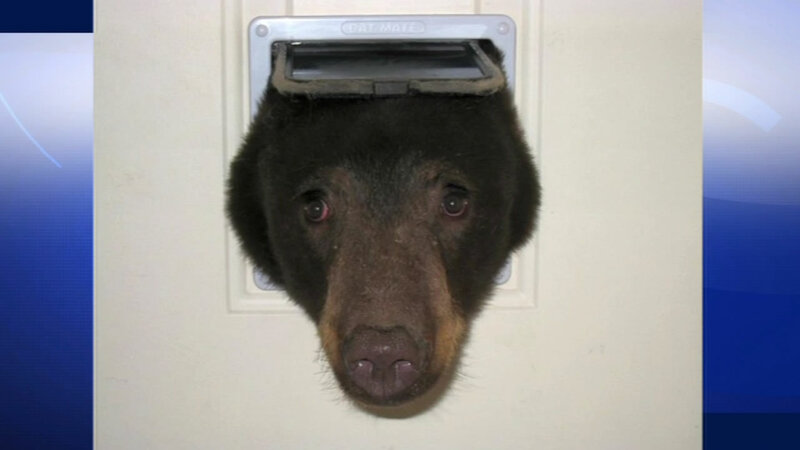 The curious animal who was in search of a snack got his head stuck through the cat door of Doug Harder's home. Harder says he wasn't scared because he knew the bear was too large to get through. He says he was lucky to get the picture before the animal ran off. This was not his first run in with bears. In May, a bear and two cubs climbed up the side of his condo onto the second floor deck.